Update: New video on Youtube, about glasses & headaches. 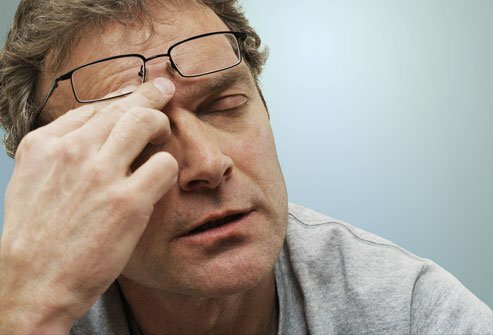 Headaches due to glasses is something often easily sorted out. Depending on whether you wear glasses or contact lenses, your usage habits, and when the headaches occur, you can troubleshoot the cause. I have had what feels like countless cases where glasses were ultimately the cause of headaches and migraines. #1 Cause of glasses related headaches are prescription changes. 1. Did you have headaches with you old glasses? Most of the time it’s a prescription change. Even if you don’t think it is, even if you just got a new box of the “same” prescription contact lenses, double check. Triple check. Did you get new glasses, but the “same” prescription? Headaches? Go get the lenses checked. The prescription may have inadvertently been changed. Something as small as a little deviation in astigmatism degree can cause all sorts of sneaky headaches. Maybe it’s time to switch back to the old prescription. And of course, if you got a new prescription and are getting headaches, they’re the wrong prescription. Don’t believe the optometrist if they tell you that you “just have to get used to it”. Wrong. Prescription. And if ever hear that sort of “advice”, might be time for a new optometrist. 2. Do you get headaches at work that you don’t get on a relaxing weekend? Again often it’s glasses. People think stress, or the desk or the computer. No. Glasses. That’s where I always suggest starting out. 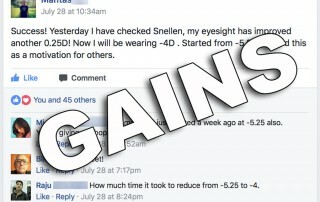 Maybe they don’t have the right anti glare filter, maybe they’re too strong (most definitely they’re too strong, if you don’t have a close-up specific prescription). Some people are sensitive to that focal plane, when wearing glasses that correct to 20/20 or higher, at close-up distance. The key here is the close-up use of the high prescription. If you don’t get headaches when you use less close-up focus, it’s most likely the prescription. You need a differential prescription, specifically lowered for close-up use. Don’t know how to get one? Scroll to the bottom, get my free e-mail guide. 3. Do specific activities give you headaches? Much of the time people fail to narrow down the causes, connect the dots. Do you get headaches just in the winter? Only when there are long meetings? Mostly in the evening? Lighting can be the issue here, though really it’s lighting + glasses. If you haven’t had a checkup in ages, are wearing a five year old prescription and are spending the whole day under fluorescent lights … the cumulative strain might very well cause your brain to throw up the red flags. Truly, most of these kinds of headaches are a signal from your brain saying, “too much error in the signal”. 4. “Mix & match” prescriptions. Neha talked about that in more detail, here. Just because you broke your glasses or left them somewhere, it’s not all right to just grab some other pair of old glasses. 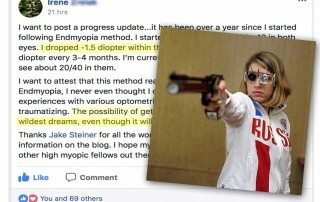 Any change in focal plane is going to confuse your brain, and that’s a likely cause for headaches. 5. 20/10 vision and headaches. The current favorite practice of mainstream optometry to crank up your prescription as high as possible is cause for concern. Quite often it all goes back to simply overprescription. Neha talked about that one in a whole article on the subject of overprescription and side effects. Your brain might be having to work too hard to interpret signals from your eyes. Of course headaches can have all sorts of causes. It’s shocking however how many times I’ve seen the problem go away completely, when we address prescription lenses. And already I’m 80% certain that sorting out the prescription use will fix the headaches. Usually it’s “signal” related, ie. your brain just being overworked dealing with poor vision input. Sometimes it’s posture related, though then too often it’s something that goes back to the wrong glasses causing you to subconsciously contort your posture. Either way, anyone who wears glasses and consistently gets headaches, should be looking at the prescription as high on the list of troubleshooting items. 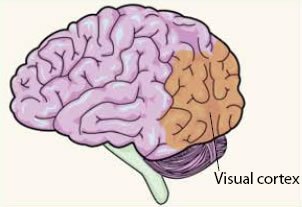 Remember, the visual cortex, responsible for your eyesight, takes up a huge 30% of your whole cortex. It plays a major role in your well-being. 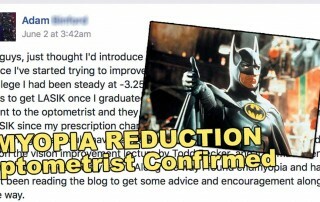 And for those of you who are actively working on improving your eyesight, take a look at this story in the forum. Remember what I said above, which applies to everyone? Other changes? 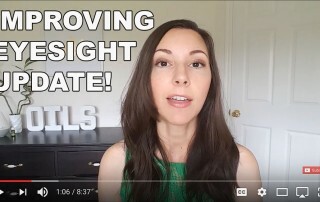 Left vs. right eye diopter, astigmatism correction changes? That’s usually the first bit of troubleshooting. If not, what about the lens type? Cheaper than before? Different PD? I also want to state first that I’m a complete idiot. I went back through my old prescription to troubleshoot. I went to my -5.25 and -6.00 glasses. I could still see 20/20 and 20/15 with those with no effort. Okay, so my eyes are improving. I then tried on my -4.75L and -5.75R glasses. I could still see 20/20 without much effort. I covered one eye at a time also to verify both eyes can see 20/20. Okay, so this is where the stupidity begins. I probably should have labeled my glasses (actually I should have done that), BUT I DIDN’T. You know how I said I was going to go down to my normalized prescription of -4.25(L) and -5.25(R)? Well, turned out the pair of old glasses were actually -4.00(L) and -5.25(R). I noticed something really interesting from here though. I was able to see 20/20 without much effort with my right eye. Left eye couldn’t at all. I managed to one time but that was 10 minutes later of active focus. 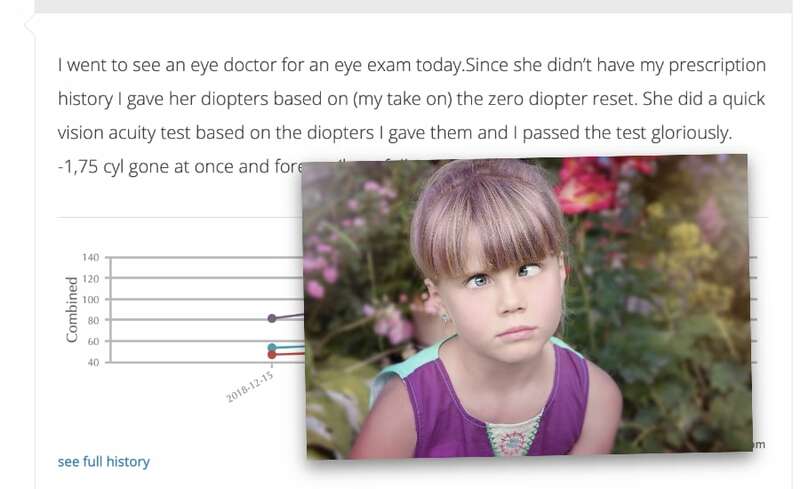 So, it looks like my right eye has improved a lot (-7.5 pre rehab, now down to around -5.25) and the gap in diopters between my left eye and right eye I can safely say is around 0.5 now as opposed to 1.0 diopter. So I ordered a new pair of normalized prescription of -4.25(L) and -4.75(R). See? It’s something simple, most of the time. Happens all the time, especially when you’re reducing your prescription every few months, and juggling distance and close-up lenses. Prescription lenses are no joke. Measure carefully, wear only what you need. Simplify when possible. Here’s more on headaches because of glasses. Irene 14 Month Progress Update: -10 D Reduced To -7 D!